This page is all about preventing mold and mildew in a piano, AND it is about preventing moisture that can rust piano metal parts and damage the cabinet. 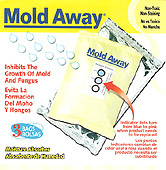 If you already have a mold of mildew problems, GO HERE to find ways to eradicate it. Temperature Range- 14 F. to 122 F.
date. Degree F. / Degree C. switchable. plus month, numeric week, and day in 1.4"
digits. Rotating control panel/desktop stand. and the room temperature changes suddenly, the inside of the piano may not change a lot. If the alarm does not go off, you don't need to deal with humidity control. For Humidity Control, please see our instructions down the page. This neat little card is the easy way to learn what the humidity is in your piano. The card is like the cards you have seen for years which turn blue or pink according to the humidity. The percent of relative humidity is on the card, and you will figure this by the spot which is lavender between blue and pink. This card is used in the silica gel trade in another application, so you will ignore the instruction to "change the deccicant." If you use this card, by placing it in the piano cabinet, you will know if your heat bar is over drying the piano, and you will be able to see if the humidity gets above the level you desire. Protect Your upright piano against potentially dangerous mold and fungus with Mold Away�. Simply remove the pack from its pouch and place it in the closet, kitchen, bathroom, basement or garage. The all-natural ingredients (clay and lime) absorb excess moisture, keeping humidity below 30 percent in confined areas. Indicator dots turn pink to let you know when it's time to dispose of the pack. The materials stay in solid form so there's no danger of leakage. This product will be of use ONLY in upright pianos. Ideal also for any damp situation in the home. Keep one in your gun safe! Never use a heat bar alone on a piano. It is too easy to forget it and dry the piano out too far in the winter when humidity is low. Buy a room humidifier and dehumidifier at WalMart or Sears. Be sure they are big enough to run for a few days without having to be filled frequently. Position the appliances in the room so that they are not too far from the piano, but not close enough for the humidifier to blow unevaporated water vapor onto the piano. Humidity is adsorbed into a room faster than heat because air acts as a sponge to water moisture. 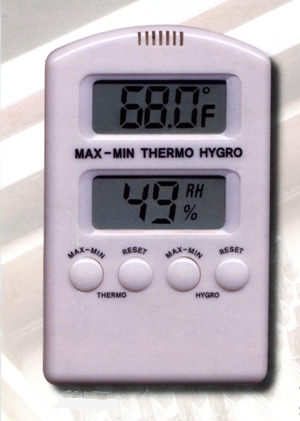 Try to keep the humidity in the room between 40 and 55%. A Humidistat senses the humidity in the air and turns your appliances on or off, according to the need and your settings and choices. It interrupts your appliances and the wall plug. Humidistats are used in many applications and in many industries. Be sure the humidistat has two AC outlets to plug in both a humidifier and a dehumidifier at the same time. This will allow you to control the humidity all year long. I have had customers use this method of control and were very pleased with the results.